Email us at communityrelations@providenceri.gov or call us at (401)680-5320. 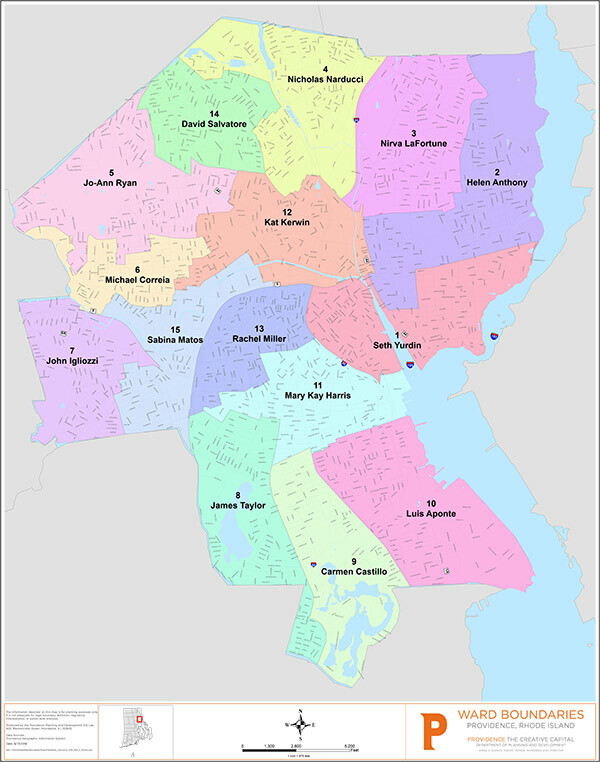 The City of Providence is home to approximately 179,207 (Census, 2015) residents, 15 wards, and 25 neighborhoods. The Community Relations office serves as a vital connection between Mayor Jorge Elorza and neighborhood leaders, residents, faith institutions, multicultural groups and businesses that work to make Providence the strong and vibrant community it is today. Our staff provides opportunities for community engagement through focused conversations, public forums and proactive outreach to ensure that all members of our neighborhoods are heard. Alexandra Batista was born and raised in the Dominican Republic. She is Latina, with both of her parents originally from the North End of the Dominican Republic. She came to Providence at the age of 15 and became the first member of her family to graduate from college, earning a Bachelor of Science in Business Administration from Johnson and Wales University. She is a commissioner for the Dexter Donation Grant Commission. She currently lives in Providence and is the Neighborhood Outreach Manager for Mayor Jorge Elorza in the Capital City of Providence, Rhode Island. She is passionate about working with the community and helping those in need. When she is not working she enjoys going to the gym to relieve her stress! LaJuan Allen was born in Brockton, Massachusetts and raised in Boston. Of Cape Verdean and African-American heritage, LaJuan became the first person in his family to graduate from college earning a Bachelor of Arts in Political Science/Public Policy and Sociology from the Massachusetts College of Liberal Arts. A social justice enthusiast, LaJuan co-founded “Be Great”, a non-profit organization based in Berkshire County, MA which specializes in educating and empowering low-income populations and communities to achieve community betterment. LaJuan is impressed with Providence’s diverse community and the city’s exceptional outreach efforts. Some of his favorite things to do in Providence include visiting the Providence waterfront, exploring the great food options, and attending the annual PVDFest! Shawndell Burney-Speaks was born and raised in Providence, RI. She was educated in the Providence Public School system and continued her educational studies at the Community College of Rhode Island and Roger Williams Universities – Adult Education Program. Shawndell has worked with inner-city youth and their families for over 20 years. She has been Streetworker at the Institute for the Study and Practice of Nonviolence (ISPN), and a Coordinator for the Beloved Community Summer Jobs Program at ISPN. Shawndell established her first girl’s group with the support of a wonderful group women at ISPN; then transitioned to after-school programs and working with young ladies in both middle and high school in the Providence Public School system from 2009-2013. Shawndell also worked as an Intervention Specialist in the Providence Public School system where she helped significantly increase of graduation rate at Juanita Sanchez High School. Shawndell is a Certified Life Coach, and creator of S.Burney-Speaks Life, where she specializes in providing services for individuals and groups. Shawndell understands the daily struggles of those in her community. Shawndell and her family faced a major loss last year, with the loss of her son Devin on July 1st, 2017. Shawndell Burney-Speaks is committed to taking back her community, even with an especially because of this recent and major loss. Olinda Urizar was born in Guatemala. She is Latina with both parents originally from Guatemala, too. She came to Providence at the age of 9. She has a Bachelor of Science in Political Science, Public Administration and minor in Non-Governmental Organizations from Rhode Island College. Currently, she is pursuing a masters (MLA) in Government from Harvard University. She is founder and member of the Board of Directors of the Social Transformation Alliance (ATS). Olinda and her husband have been pastors at a congregation in the city of Cranston since 2001. Her passion is serving others with resources to better their quality of life. She is a Community Relations Coordinator for Mayor Jorge Elorza in the Capital City of Providence, Rhode Island.